I’ve always wanted our home to be welcoming. I like to think our guests find the place pleasant. The only problem with this plan is when the guests are…unwanted. The last couple of nights, we’ve left our windows open and it seems there is a local little guy who finds our home particularly attractive. He or she keeps coming back causing nasal nightmares. 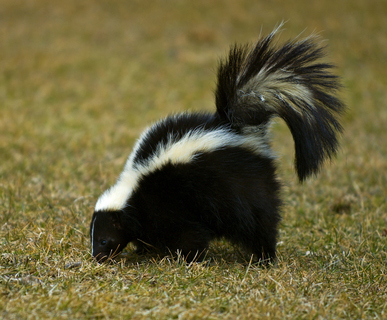 Now, before I go any further, please note that I have nothing against skunks. They are lovely creatures and deserve every good thing that comes their way. They’re also adorably cute when little. Still, there’s no denying their smell can make your hair curl. Most people seem to know to stay away but, in a display of incredible intelligence, most dogs, seem unable to comprehend the consequences of bothering said animal. I fear what might happen if mine meet this unwanted guest…. 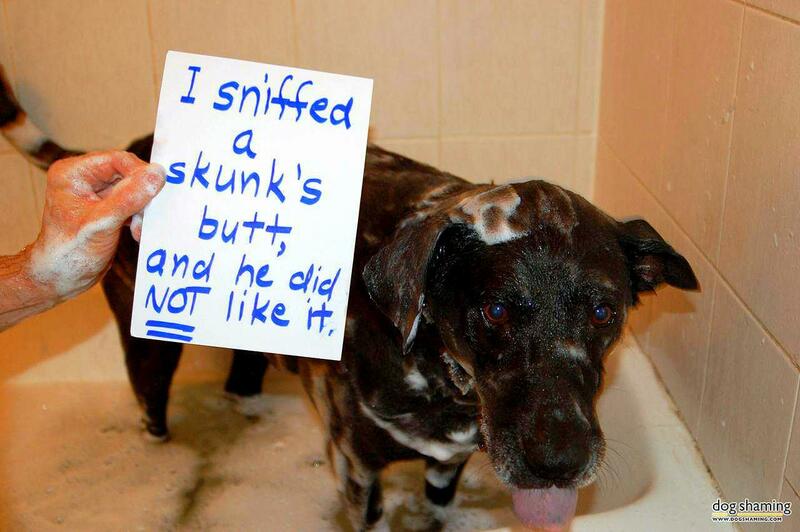 This entry was posted in dogs, humour and tagged bad smell, dogs, humour, silly dogs, skunk, skunk smell by taylorgraceauthor. Bookmark the permalink. Lol-We just moved in the country. We have deer, rabbits, foxes, coyotes, turkey, and a few other creatures I’m sure, but no skunks yet. That sounds so lovely and beautiful! !